The two appear to be very similar on the surface, yet have distinctly different impacts on our lives. Self-preservation (for the sake of this posting) is mastering the art of saying no to things which don’t serve us, protecting us from biting off more than we can chew in an effort to avoid burn out. Self-sabotage (again for the sake of this posting) is mastering the art of excuses, in order to avoid risks and prevent any forward motion whatsoever. It is easier to not try at all than it is to try and fail. Many of us, if not most of us, I’d go so far as to say up to 90% of us, disguise self-sabotage as self-preservation, insisting time after time that we haven’t committed, or taken action, because the time isn’t right, or because we’ve already got too much on, or because we can’t afford it, or because it doesn’t ‘feel right’. To hide behind a veil of excuses is preferable for most until life runs out, and you wake up one morning feeling distinctly unsuccessful and bitterly disappointed. You conformed to the 90% because it appeared easier. It looked to be the safe option. But what is safe about self-sabotage? I’m calling it sabotage for a reason… it’s damaging!! Self-preservation ironically is the what the other 10% fail to practice often enough. The 10% who dare to take risks, who jump in feet first, who fall down seven times, and stand up eight… those who usually make an impact on the world, and aren’t scared to look foolish or make mistakes along the way. Those who don’t fear bankruptcy, those who don’t fear losing it all, those who don’t fear life, or fear being different, are the ones who perhaps ought to stop saying yes to everything. Although Branson did have a point when he shared his ethos of “say yes and figure it out later”. Whichever camp you land in, I think it’s important to recognise your behaviour and be honest about what you’re doing with your life and why. 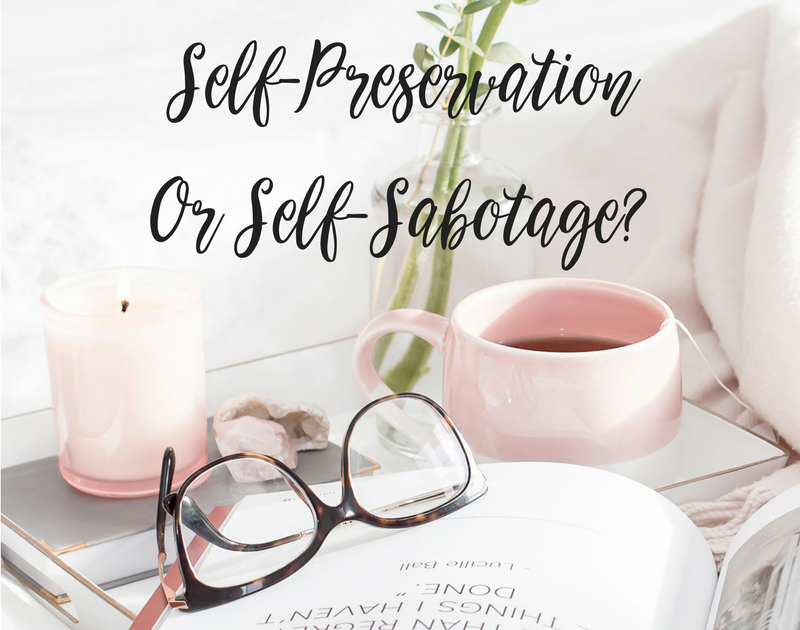 Do you practice self-sabotage or self-preservation?